If uniqueness is your cuppa, then this coat is the absolute must have for you. 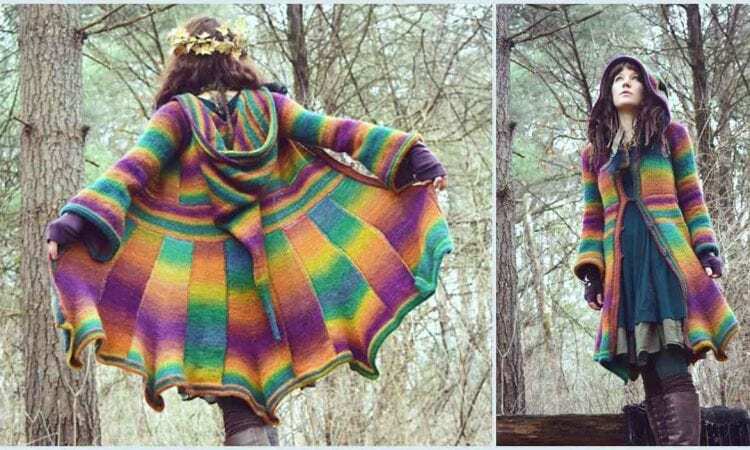 The Elf Coat Pattern is a dreamy, colorful coat right out of a fairy tale. With its long hood, flaring sleeves and loop buttoned front, this beautiful project will enable you to achieve that fantasy look. It is utterly magical. A link the free pattern is at the end of the post.